The US, French defense heads discuss operations in Syria. Top defense officials from the US and France discussed a host of issues Monday, including operations in Syria. 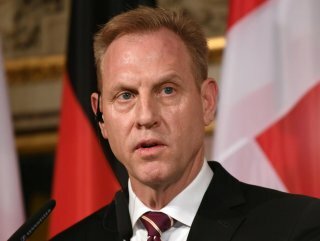 "WE ARE WORKING CLOSELY WITH THE TURKS"
Acting American defense chief Patrick Shanahan met with his French counterpart, Florence Parly, in Washington, as the US continues military operations in the war-ravaged country. "We are working closely with the Turks, our strategic partner. More importantly, we are on plan for our drawdown in Syria," Shanahan said at a joint-news conference with Parly. "We are in close coordination with our D-ISIS coalition partners on the real details of the plan," he added, using another term for the Daesh terrorist group. Trump's abrupt decision to withdraw American forces from Syria late last year was met with significant pushback by close allies in Europe and among some of Trump's closest legislative supporters on Capitol Hill. The US withdrawal process should respect Syria’s territorial integrity and political unity and Turkey’s security concerns, Turkish Foreign Minister Mevlüt Çavuşoğlu said last week, adding that Ankara will continue to work with Washington and other actors in Syria.